FLAVORx is proud to announce that over 100 million liquid prescriptions have been flavored with FLAVORx products. 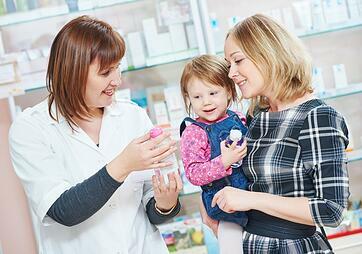 Since its founding in 1994, FLAVORx is now offered in over 46,000 pharmacies around the nation and the world. It is being used to deliver personalized customer experiences to parents and children while making ‘medicine time’ less stressful for families everywhere. The FLAVORx service is used to personalize the taste of liquid medications. Commonly dispensed drugs, like amoxicillin, azithromycin, cefdinir, prednisolone and Tamiflu, can be flavored to a child’s favorite flavor. Bubblegum, grape, strawberry, cherry, and mango are just a few of the popular options available to customers of FLAVORx’s retail partners. In a recent JD Power survey on customer satisfaction in the pharmacy industry, Rick Johnson, director of the JD Power healthcare practice noted: “Pharmacies that are cognizant of their customers’ needs – and their time – will likely continue to achieve high satisfaction.” The report measures customer satisfaction with brick and mortar pharmacies across a number of factors including cost, staff, store, and ordering/pickup process. Increasingly, pharmacists and pharmacy technicians alike are looking to offer a more personalized healthcare experience in order to attract and retain customers. Giving children and parents the power to choose how the medicine tastes is one way they are doing exactly that.